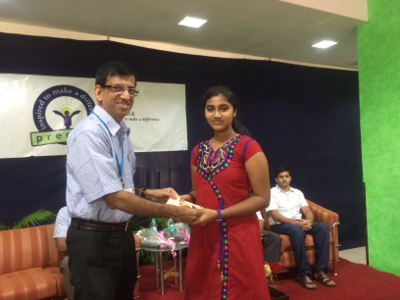 The ninth Scholarship Disbursement For Meritorious Students under the aegis of Prerana, Infosys, Mangalore, Vidyaposhak, Dharwad, Dhrithi Foundation, Mangaluru, and Yakshagana Kalaranga, Udupi was held on Sunday, 12th October 2014 at Infosys Campus, Kottara, Mangalore. 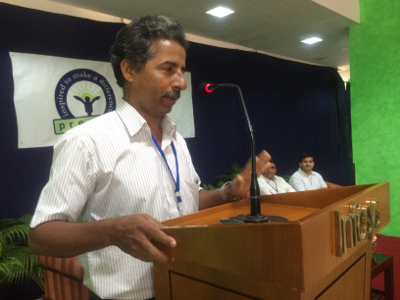 Dr Ravish Thunga, Prof and Head of Psychiatry , AJ Medical College, Mangalore, was the Chief Guest on the occasion. A total of 456 students, including those pursuing professional courses, from Udupi and Dakshina Kannada districts were supported to the tune of Rs. 19,71,376. Out of this Rs. 13,72,500 was contributed by Prerana, Infosys, Mangalore and the rest by other donors of Dhrithi Foundation, Vidyaposhak, Dharwad, and Supraja Foundation, Hong Kong. The total amount of scholarship provided to students from Dakshina Kannada by Dhrithi Foundation-Vidyapohak and Prerana was Rs. 9,06,876, of which Rs. 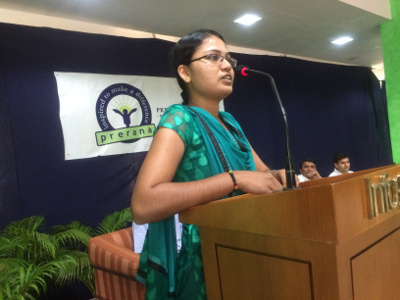 3,03,000 was provided by Prerana, Rs. 1,97,376 by Vidyaposhak, Dharwad and Supraja Foundation, Hong Kong (through Vidyaposhak, Dharwad), and Rs 4,01,500 by Dhrithi Foundation donors. Of this, R. 1,24,500 was provided to 58 newly selected students and Rs. 7,82,376 was provided to 258 renewals. This is the ninth year that Prerana, Vidya Poshak and Dhrithi Foundation are extending support to the needy meritorious students of Dakshina Kannada district. 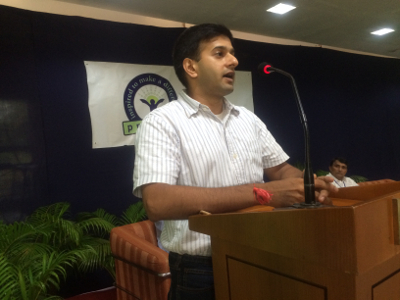 Speaking on the occasion Dr Ravish Thunga asked the students to work hard to realise their dreams and to turn the adversities into dividends. Sucess only come sto those who stand up to the challenges of life, he said. 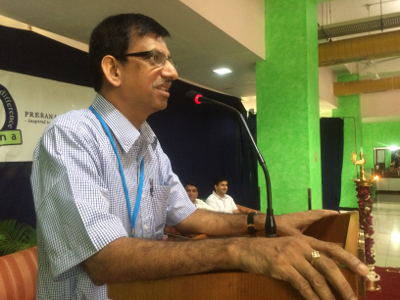 Mr. Naren Koduvattat, C Founder and Mnaging Director of Liga Edutech Ltd., told the students that only the brave and self confident will mak ethings happen for themselves. Keep knocking at the opportunities and the doors will open, he said. 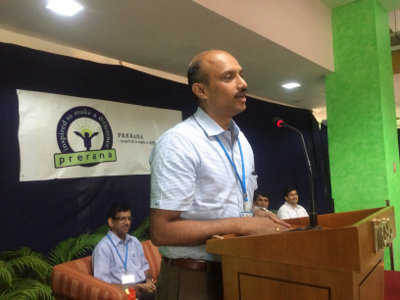 Mr. Raviraj Belma, Trustee, Prerana Trust, Infosys Mangalore said that the contributions of many well wishers make the effort possible and urged the students to help others in future. Supreetha, a benefiiary of Prerana support who completed her Engineering and has since joined Infosys, Mangalore, thanked Yakshagana Kalaranga and Prerana for helping her to realise her dream. Dr. Srinivas Kakkillaya, Secretary of Dhrithi Foundation, provided the details of the project and Sri Narayana Hegde, Yakshagana Kalaranga, admisnistered the oath to the students. 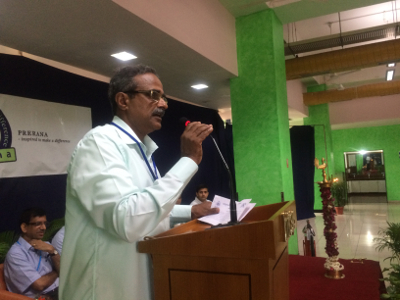 Mr. Murali Kadekar from Yakshagana Kalaranga proposed the vote of thanks. 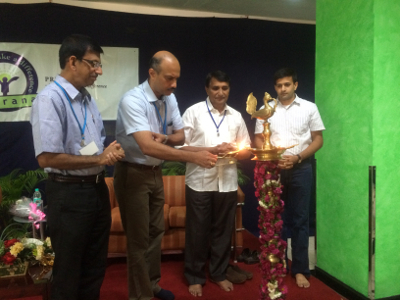 Mr. Vedanta Ravi of Prerana Infosys compered and Sri Vinay of Prerana Infosys welcomed. 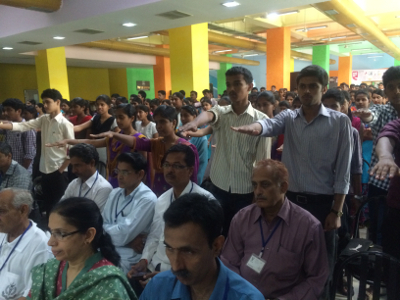 There was an interactive session on public speaking conducted by the members of Prerana.